:Skillet is one of the top rock bands in Christian music with over 2.5 million albums sold, multiple No.1 Christian radio hits and chart topping mainstream radio hits. The Grammy-nominated, Dove Award-winning act has a rich musical history that can be encapsulated in this latest offering The Platinum Collection. This is a 3-CD set, with 33 songs, including the platinum-selling 'Awake' and gold-selling 'Comatose' and 10 chart-topping songs from their early years. If you are a loyal fan of Skillet, this is the must-have collection, or if you are looking for an introduction to the best Christian rock then this is THE best place to start. 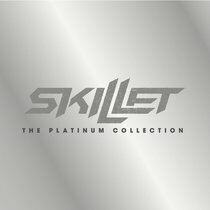 About "Skillet Platinum Collection Triple CD"